Oops! Twitter uses Microsoft for its translations. But Microsoft can’t tell the difference between Indonesian, widely spoken in Indonesia, SE Asia, and Sesotho, widely spoken in southern Africa, 6,000 miles away. 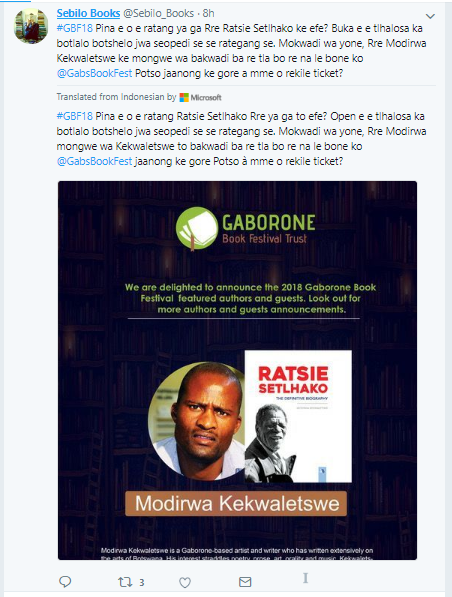 Thankfully the Gaborone Book Festival in Botswana is also in English.